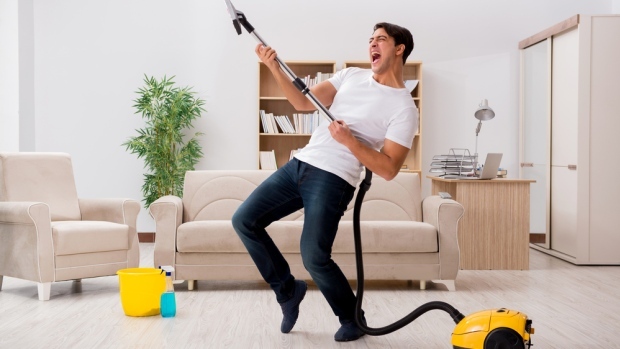 Spring is most definitely in the air and with the arrival of the warmer weather, many of us have a blast of motivation to spring clean our home. But it’s not merely an opportunity to spruce up your property, a good clear out can also reduce your risk of household fire. Whilst the majority of us will not consider ourselves ‘hoarders’, it’s normal to have accumulated items over the years which we have stuffed into a corner and ignored… and it’s these forgotten things which could potentially be a huge fire hazard. Follow our quick spring clean fire safety guide to make sure you’re minimising your chances of a serious incident. A box of items here, an unwanted stack of papers there – it’s things such as this which carry the risk of catching light, especially if you place them near heaters, candles or a fireplace. Time to have a good sort out, and remember those darker hiding spots such as under the bed! Check the inside and outside of your home to make sure you’re not overloading sockets or powerpoints. Keep your eyes open for any exposed, broken or frayed wiring, and make sure your electrical points aren’t surrounded with paper or other highly flammable material. Take a look at our socket overload calculator to get an idea of how much you can plug in at any time. It’s a great time to check that your smoke detectors are working sufficiently and change any batteries that might need replacing. Remember, your detectors need to be fully replaced after 10 years (7 years for carbon monoxide detectors). Ideally, you should have one smoke detector per floor of your property, placed in the hallway or landing. Lately the news has been full of horror stories concerning faulty white goods catching fire in the home. Now is the ideal opportunity to do a general appliance check-up and see if any of your items have had a recall due to faults or hazards. Simply enter your items make and model into our online product checker. It’s also a good time to indulge in some tumble drier maintenance by taking out the filter, removing any lint build-up and giving it a good clean. Whether it’s for use inside or outside, it’s a good idea to check any bottles or tubs containing household chemicals and cleaning fluids are sturdy and in good nick. Wipe items down and remove any drips to ensure that there is nothing which could ignite unexpectedly. If you don’t have a planned escape route, should the worst happen, it’s time to get one sorted! Maybe you could nominate someone in your household to be an ‘escape champ’ and take on this important job? Role-playing your way through your intended route will ensure that everyone knows what to do in the event of a house fire or accident. Things to consider include keeping stairways clear, knowing where the door keys are kept at night, and having torches handy to light the way if needs be.